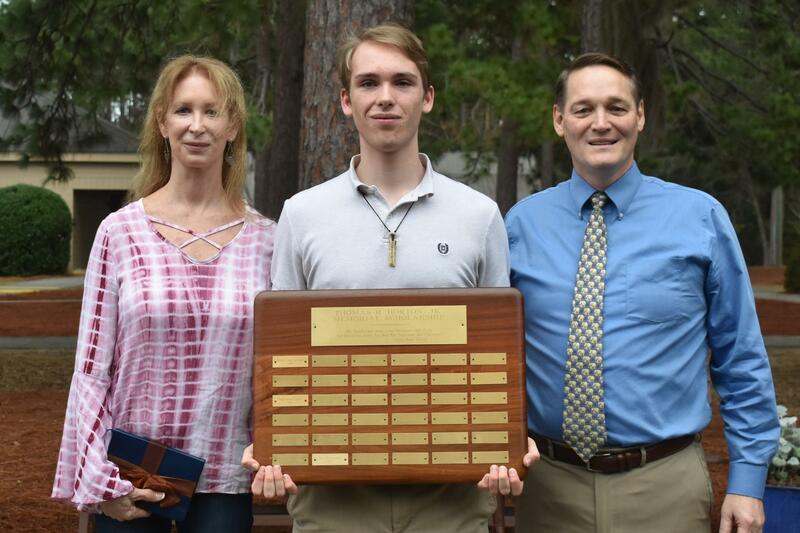 Julian Alicknavitch, Class of 2019 was named the recipient of the 2018 Thomas H. Horton, Jr. Memorial Scholarship. Congratulations, Julian! Anna Miller, Class of 2018 was named the recipient of the 2017 Thomas H. Horton, Jr. Memorial Scholarship. Congratulations Anna! Emma Hincher, Class of 2019 was named the recipient of the 2016 Thomas H. Horton, Jr. Memorial Scholarship. Congratulations Emma! 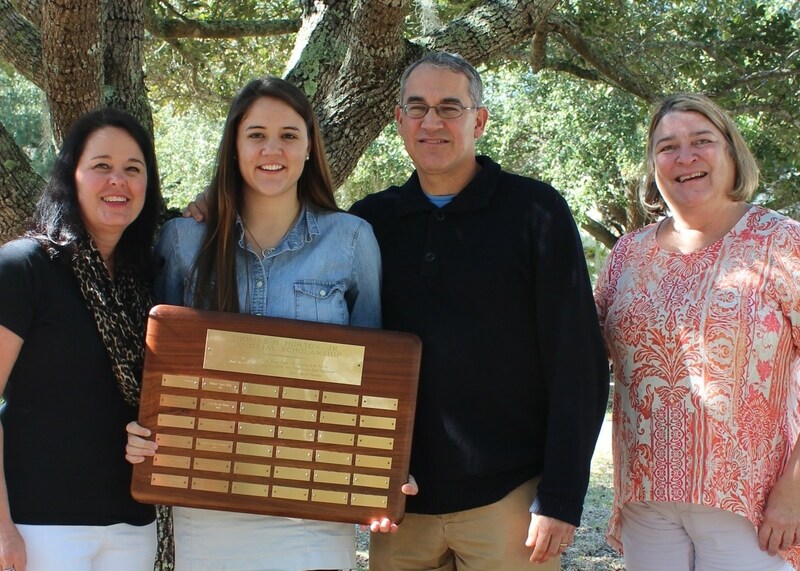 Michaela Russell, Class of 2016 was named the recipient of the 2015 Thomas H. Horton, Jr. Memorial Scholarship. Congratulations Michaela! 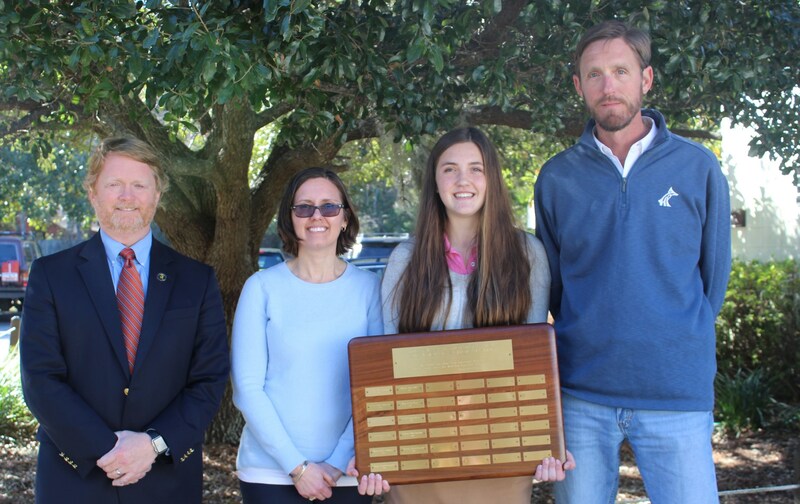 The Thomas H. Horton, Jr. Memorial Scholarship has been established to commemorate the contributions of Tom Horton to the study of English literature and to the development of the minds and characters of Beaufort Academy students. Grateful family members, students, colleagues and friends have come together to celebrate Tom’s contributions and to ensure that his legacy lives on. With a creative spirit, a giant heart, and the sense of humor required for a life devoted to teenagers, Tom dedicated his time and his talents to the students, parents, and teachers of Beaufort Academy for 23 years. He taught his students much more than can be gleaned from books and assignments; he helped them to a greater appreciation and understanding of art and literature, an honest concern for and sensitivity to others, a willingness to work as a team member, and an awareness of the world beyond the South Carolina Lowcountry. Understanding that travel is itself a great teacher, Tom spent countless summers trekking through Italy, France, Germany, and England sharing his passion and knowledge with B.A. students. Each winter, B.A. freshmen, sophomores, and juniors are invited to apply for the annual scholarship: up to a $4,000 stipend for one student to participate in a summer study- abroad program. An applicant must research potential study-abroad opportunities, select the program he/she wishes to attend, and submit a complete application packet (see below) by the application deadline. There are no specific requirements as to the location of the program or its subject matter, but applicants are strongly encouraged to select a program that includes at least one course of study in literature or creative writing. The selection process includes a review committee of Beaufort Academy personnel who will consider the application packet as well as the student’s academic, activities and service record at BA and in the community and will select finalists for the award. The Scholarship Committee will then consider all finalists’ packets, meet with all finalists, if possible, and then award the scholarship during the first assembly of the second semester. During the school year following the recipient’s study abroad summer, the recipient will be required to make a presentation to students in the Upper School regarding her/his experiences. 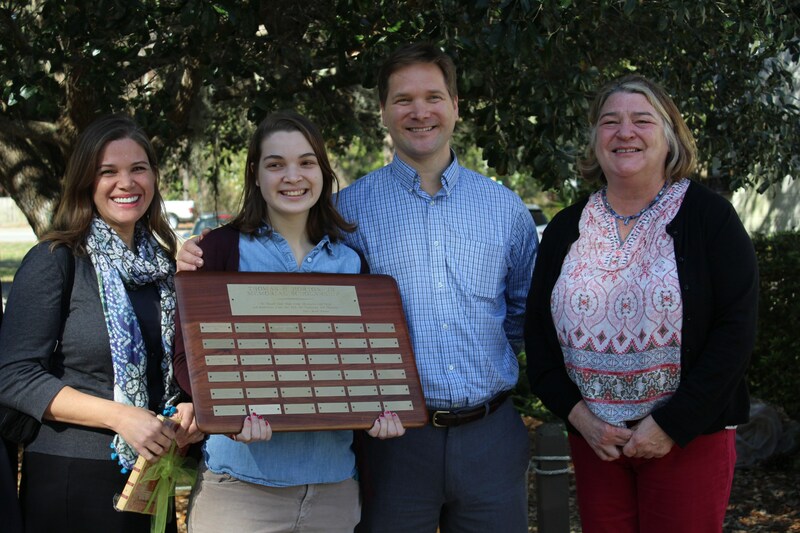 In addition, the recipient will submit both a written summary of and a creative writing piece inspired by the study-abroad experience, both of which will be recorded in a “THH Memorial Scholarship Book” to be maintained by the Scholarship Committee and Beaufort Academy. The scholarship money may only be used to pay for the approved study program tuition and fees. We cannot pay for the travel or related expenses. All interested students must submit the following items to Maureen Butler by February. Incomplete applications or those that do not follow the guidelines will not be considered. What summer abroad program you wish to attend: the location, course of study, and significant details, including cost. Why you have chosen the particular program. What you wish to take away from the experience. One (1) letter of recommendation from an individual not employed by, not serving on the Board of, and not attending Beaufort Academy. One (1) creative writing sample (may include fiction, poetry, or drama) no more than ten (10) pages typed, double-spaced. 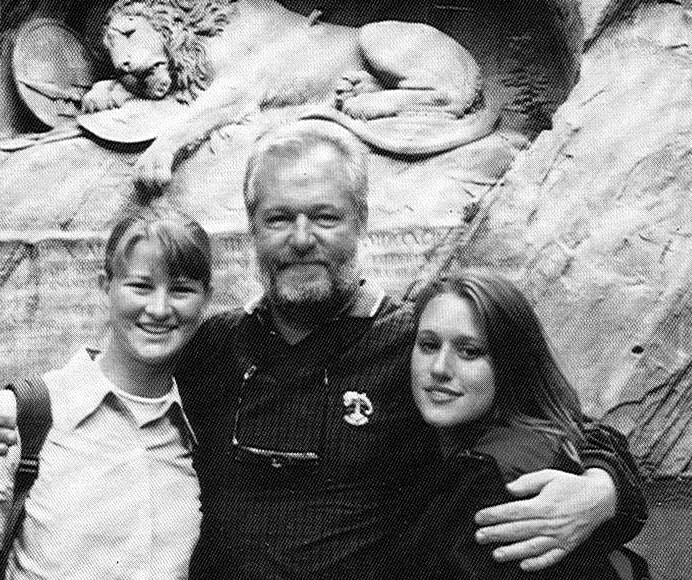 Mr. Horton, in 2000, visiting Lucerne with students.